National education charity Achievement for All is celebrating the results of a year long campaign to encourage primary school children to read, on World Book Day, Thursday 3rd March 2016. The campaign, called One Million Minutes, challenges primary schools across the country to read for as many minutes as they can in just one week. The class which manages to read for the most minutes and top the leaderboard by the end of the week wins the challenge and is presented with a brand new reading corner and books worth over £1,000 courtesy of Peters Books & Furniture. So far, the competition has been held at eight locations over the past 12 months; Bristol, Somerset, Berkshire, Nottingham & Derby, Wiltshire, Lancashire, West Midlands and Yorkshire. 27,983 children have taken part, from 931 classes, reading for an amazing 3,172,266 minutes! The next challenges will take place in Devon and Northamptonshire in June. Children’s authors have backed the challenge along the way, including Yorkshire based Hilary Robinson. Author of over 50 illustrated children’s books, Hilary showed her support for the campaign by visiting the winners of the West Yorkshire challenge, Rothwell C of E Primary Academy in Leeds. The aim of the One Million Minutes campaign is to encourage children to read, following research that reading for just ten minutes a day can have a huge impact on a child’s education. A quarter of all children leave primary education without reading well and in England, struggling to read is more closely linked to low pay and the risk of being unemployed than in any other developed country. Elaine Allen, Headteacher of St John Vianney’s Primary in Blackpool, said: “The One Million Minutes Reading Challenge has been instrumental in putting reading firmly back into the spotlight, both at school and at home. Everyone in school and at home, have been involved in the challenge. The children have read with their families, their teachers, their peers and with children in different year groups. Parents have been welcomed into school to read alongside their children. Every minute of reading has been recorded. And this has sent a clear message to everyone involved. Reading is important! It’s something everyone does and it’s something everyone can do. 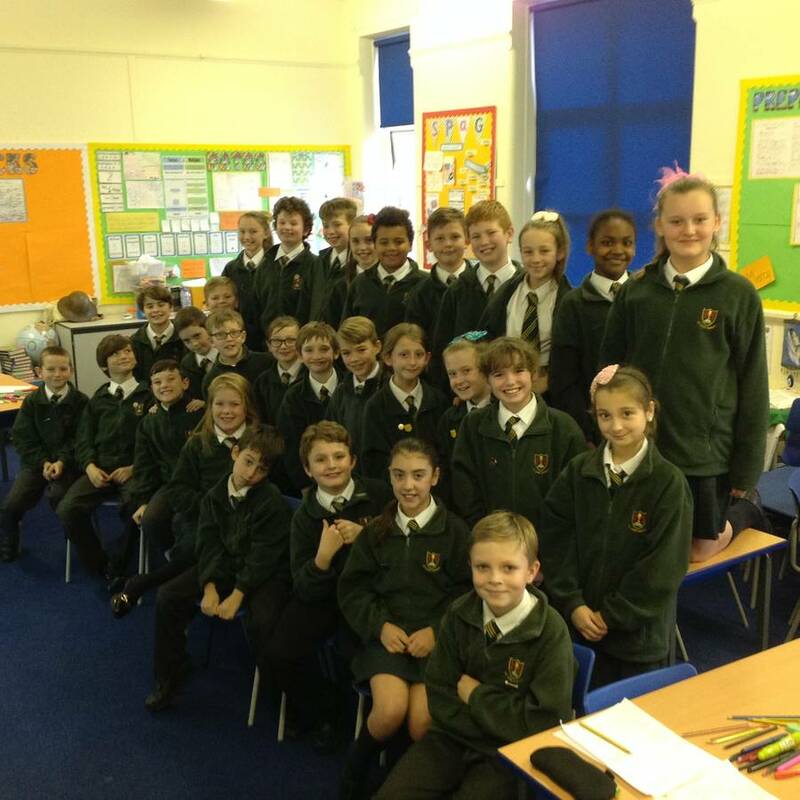 “It was amazing to find so much time to read so many books.” Holly, aged 10, class 6OK. “I enjoyed watching our minutes increase, seeing how many books we could read and comparing them with others!” Caitlin, aged 10, class 6OK. “I’m excited to think about all of the possible books we will receive and can’t wait to read them!” Amy, aged 10, class 6OK. Achievement for All is one of a coalition of charities leading the Read On. Get On. campaign to get every child reading well by the age of 11 by 2025.